By Amy VanHaren on August 21, 2017. Originally published on Startups.co – the world’s largest startup platform, helping over 1 million startup companies. More from Startups. As the founder of a start-up and new app, I’m in the position of being in a brand new position over and over again. Pretty much daily, in fact, like all entrepreneurs, I’m confronted with a barrage of new questions that require research, testing, intuition, and unforeseen obstacles that keep me up in the wee hours of night. So many new things to learn, so much to navigate. It’s those endless beginnings, however, those unknown situations when I’m standing on the edge of foreign terrain with no roadmap that keep me going. In many ways, they are the reason I’m here, the reason for launching an app. Two years ago I was overwhelmed and isolated, navigating life as a working, nursing mother with no strategic plan for that combination whatsoever. I was flying blind, until I realized that it didn’t have to be that way: other breastfeeding women were all around. They could be my guide. Technology could be our collective tool. I saw the solution and built pumpspotting to connect us all. I’ve learned along the way that facing the new is crucial. It’s terrifying — but key to growth. Conquering new challenges not only moves me forward but also makes me a better business person, a better app creator, and a more effective advocate for women. There is no task, other than breastfeeding, that has been more “new”to me than the startup pitch for funding. So when I found myself on the edge of a very new landscape — an escalator, to be exact —with a whole host of cameras and lights, some very famous entrepreneurs awaiting at the bottom, and a share of $10 million dollars at stake — I tried to remember what I loved about the new. 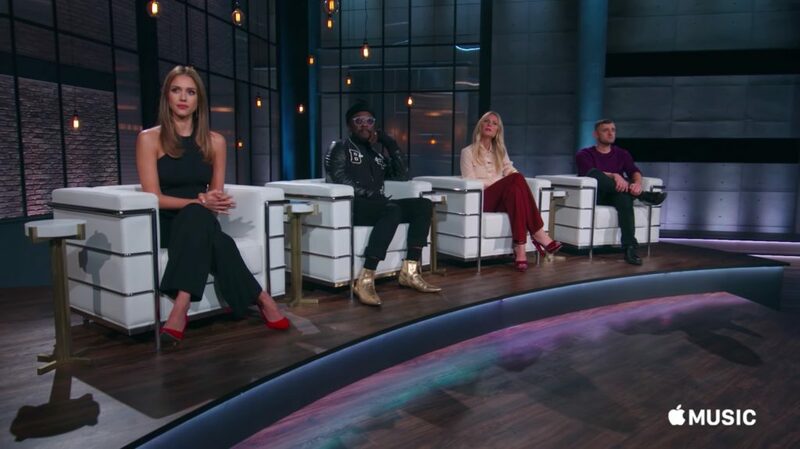 I was standing on a beautiful stage in Los Angeles, with fellow app developers all around me, Gwyneth Paltrow, Gary Vaynerchuk, will.i.am, and Jessica Alba below me, and my pumpspotting partner, Lindsey, beside me. We were preparing to pitch for our lives. We had made it onto the first season of Apple’s Planet of the Apps, a show that celebrates the world of apps and the talented people who create them, and we were seconds away from our big 60-second startup business pitch and the chance to secure a mentor and potential funding for pumpspotting. There we were, camera ready, pumpspotting ready, in pitch position, the first to go that day, and we’d never seen the show, never seen the stage, never seen anyone else pitch there. It doesn’t get any higher stakes or more “brand new” than that. We also woke up the next morning with an idea that was a game changer. So the experience was wild but also wildly important for us. Right before we pitched, Lindsey turned to me and said that simple phrase. My nerves always run high before a business pitch but at a time when everything — and I mean everything — seemed pretty surreal, it was an important reminder. Every pitch feels like the most crucial one you’ll ever make, cameras or no, and it should, because finding the right investors is key to moving forward. But every startup pitch is also just that: one pitch. The more you remember to breathe and feel your feet, the more you stay grounded and focused on your mission, your path forward, and your vision. 2. THOSE FIRST 60 SECONDS REALLY MATTER. In every startup pitch, you’re looking for the same thing: a green light to keep going. (In the case of Planet of the Apps, we were looking for the mentors to literally give us a green light.) You usually have mere minutes to capture attention enough to get the phone call, to get a meeting, or to get funding. Every word matters and so does being able to share it with conviction come what may (producer’s voices, moving conveyor belts, a tense room, a nagging doubt in your head). We wrote and rewrote our business pitch about 30 times until we felt it flow. We practiced it even more, in front of each other, the mirror, the video camera, even Lindsey’s cat. And it paid off, when at the end of that escalator we got four green lights. Once we stepped off the escalator we started the Q and A part of the startup pitch and here’s where I think we went wrong: we practiced too much. We had created a script for describing the app and our path forward but didn’t leave enough room for conversation. We were prepared to work through our outline, but one question from Gary after our introduction spun the pitch a different way. We adjusted, but not as much as we might have, had we approached it as more of a discussion than a presentation. For our next pitch, we had our key talking points at the ready, and when the conversation changed course, we changed with it to greater success. Every business pitch is different, and you can’t always know how it will play out, but think inside and outside the box so you are ready for multiple situations. 4. …BUT YOU CAN’T BE TOO PASSIONATE. If nothing else, show up as you and be you to the very end. What sells your company as much as your innovative idea, your market potential, and growth chart is you. The thing I’m proudest of, is that we showed up for pumpspotting and for breastfeeding women that day because we believe in it — and in the necessity of the app for moms. We left it all out there on that stage, no matter the outcome (or the stage) you should too. We had the opportunity for four successful, talented entrepreneurs who’ve gone before, to tell us what they think. As scary as that was, it was pretty amazing too. And it’s no different than any other time we’ve pitched. Everyone has a different perspective when it comes to building an app (or business), and while your path is your own, you’re usually speaking to some of the wisest people in business. The golden nuggets you get from the pitches can be invaluable, as we learned. Gwyneth sparked a thought about adding value. Gary helped us consider an important place to focus efforts. And will.i.am showed us to tune into the champions in unexpected places (by being our biggest champion). Everyone helped us elevate our game. You are walking into a room focused on what you will say but the best thing to do if you want to grow is to walk out focusing on what they said. 6. BE OPEN TO WHAT COMES NEXT. Here’s my favorite part of the story: The day after our pitch, sometime around 4 a.m. when we’d recovered from the initial experience, stared at the wall all night, and regrouped, we gained a clear vision of what to do. We needed to go on the road. We needed to go out and talk to women who were breastfeeding; to get an RV, deck it out for moms to nurse and pump in, and strike up real conversations about what mothers really need on our app so we could build it (in real time, as we went). In that morning light, in our pajamas, we built it in our minds (Lindsey actually videotaped it coming to life). And now, just a few months later, we’ve built it in real life. We bought the RV, we created the Kickstarter, and we’re gearing up for the tour. The startup pitch is really only the beginning. Whether it leads to funding, a new alliance, or a grand Eureka idea, the key is to keep pitching and to remain open for every outcome, whatever it may be. 7. CHOOSE A GOOD PERSON TO BE STANDING NEXT TO YOU. Want to know how to tell if you’ve found a good partner? Ask them to be on reality TV with you. (Or rather, take their playful text about said TV seriously.) Nothing gives you insight into how you work as a team like having to put together a pitch (especially one of such high stakes). The better your “person” is, and the more committed, the better you’ll be. If you’re wise, like me, you’ll find someone who makes you stronger and convince them to stand next to you on an escalator, through the most unique ride, and in the process solidify the next 20 years of a beautiful partnership. BONUS TIP: DON’T WALK UP THE ESCALATOR.